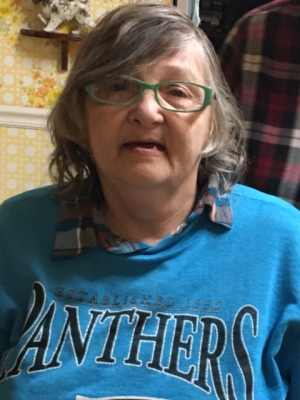 Obituary for Sadie (Furtick) Infinger | Thompson Funeral Home, Inc.
Mrs. Sadie F. Infinger passed away to be with her Heavenly Father on Sunday, February 3, 2019 after a short battle with brain cancer. She is now walking on the shores of Heaven with Jesus. Funeral services will be held at 12:00 P.M. on Wednesday, February 6, 2019 at the First Assembly of God Church, 1176 Calhoun Road St. Matthews. Burial will follow at the church cemetery. Rev. Mark Call and Rev. Henry Cooper will be officiating. The family will receive friends from 11:00-12:00 prior to the funeral service. Pallbearers will be Chris Irick, Michael Judy, Timmy Judy, Charles Judy , Jonathan Judy and Andy Furtick. Mrs. Infinger was the daughter of the late Eddie D. Furtick and the late Billie B. Furtick. She is survived by a brother, John D. Furtick (Marilyn); sisters, Patricia F. Judy (Charles), her twin sister, Sally F. Rucker (Larry); daughter, Felicia Ann Grubbs; grandchildren, Kayla Irick and her children, Jessie, Nevaeh Waddell; Chris Irick (Megan) and their child, C.J. ; and a number of nieces and nephews. Friends may call at the residence of Sally and Larry Rucker.